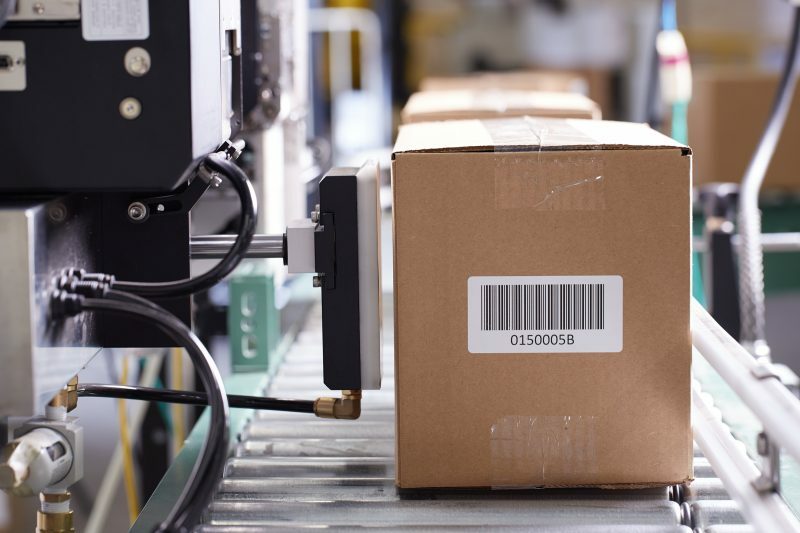 Here at Buckeye Business Products, we are always looking for ways to improve efficiency so that we can offer our customers the best products possible. Buckeye Business is proud to introduce the Auto Apply and Print and Apply Technology Center. This center will use auto apply labels. Buckeye Business Product’s auto apply labels have a polyester liner that provides many more advantages than using paper. Paper prices are rising, and polyester offers the perfect solution. There is a more consistent release, fewer roll changeovers, and it is water and tear proof, recyclable, and more. Instead of letting the liner fall to the ground, it is re-wounded. Since polyester is thinner and stronger than paper, we can offer more labels per roll. On a 14” diameter roll there are 35% more labels per roll. On a 12” core roll 100 labels are now 2,900 to roll because you don’t have to change it over as often, saving money at every corner. We also use our manufactured eco-friendly hot melt adhesive to reduce the number of machine-applied labels that blow off the boxes. These labels have a clear middle liner so that no product or brand information is covered. There is also an easy peel life edge on both sides of the label for more efficiency while handling the label. When the unessential portion of the label is removed, the clear liner can make it easy for customers to see the products overhead. In the coming months, Buckeye will be installing even more new state-of-the-art equipment. We will be adding three ETI converting machines to improve the in-line coating and printing process of our labels. These machines will print, apply silicone and adhesive, laminate, and diecut all in one inline process. We started using ETI machines in 2010 and are excited to continue to expand our productions for our customer’s benefit. Buckeye Business Products will also be installing an automatic fanfolder. The fanfolder will fold our blank labels quickly rather than having someone fold them by hand. This will allow us to save time and money while creating even more labels that can be delivered to you the same day you place your order. In the future, we will continue to make improvements to our equipment and facility so we can provide our loyal customers with the best products on the market.